You can really feel the history in the walls here. eautifully preserved from its 18th-century origins, the former Cooperative Printing Room is a true Manchester landmark. 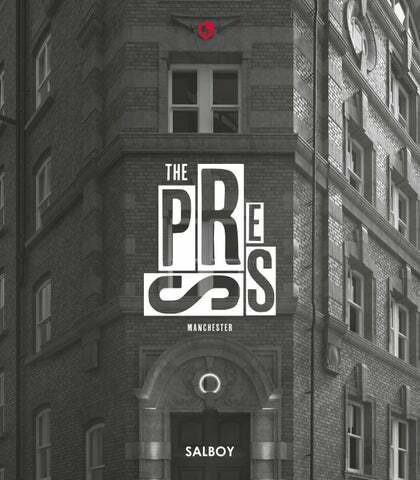 A key part of the city’s history, this Grade II-listed building is now reborn as The Press. Comprising sixty-six New York-style apartments and townhouses, The Press blends thoughtful design and premium materials with a wealth of gorgeous original features. You can really feel the history in the walls here. How many apartment buildings can you say that about? The city that produced the Suffragettes, the world’s fIrst computer, the UK’s biggest university and Factory Records. magine living in the building that made Manchester great. Before the Co-operative Printing Room opened its gates in 1863, poverty and illiteracy went hand-in-hand in Manchester – and both were rampant. But the city’s first printing presses gave locals access to all manner of affordable reading material – including newspapers. Literacy levels skyrocketed. This was the beginning of the tuned-in, whip-smart Manchester that would shake the decades to come. The city that produced the Suffragettes, the world’s first computer, the UK’s biggest university and Factory Records. ooking to make the most of life in Manchester? You couldn’t be better placed than at The Press. With the city centre right on your doorstep, there’s a dazzling array of options out there – whether you’re a foodie, a fashionista, a clubber or a culture vulture. From acclaimed arts-centre HOME to the hip drinking spots of Ancoats; from the luxe glitz of Spinningfields to the boho shopping of the Northern Quarter – you’ll never be short of cool new things to do. And if you need a break from all that big-city buzz, the gorgeous Angel Meadows – central Manchester’s largest green space – is just around the corner. ew buildings in Manchester are as storied as The Press. So when we converted this Grade II-listed building into homes, we sought to preserve as many of its original features as possible. As a result, each apartment and townhouse within The Press is rich with evocative 18thcentury details. These are complemented by understated new fixtures and fittings that really let the history shine through. This is past and present in happy harmony. This stripped-back aesthetic also offers an ideal canvas upon which your personal style can be expressed. Whether you prefer cosily cluttered or modern and minimal, your home at The Press is ready to be made your own. he birthplace of the industrial revolution, Manchester has undergone a dramatic reinvention since the turn of the millennium. Heavy investment – private and public, domestic and international – has turbocharged the city’s economic vitality, cementing its status as a world-class business and investment location. The ten local authorities that make up Greater Manchester represent the largest functional economic area outside of London. The booming city also boasts the biggest UK office market – and the largest Chinatown – outside of the capital. Naples Street Properties Ltd. Unit 3, Birchwood One Business Park, Dewhurst Road, Warrington, WA3 7GB. £2,000 to hold. 20% deposit on exchange of contracts (within 21 days). Balance on Practical Completion. 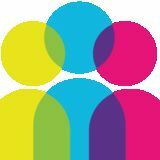 If using the recommended solicitor fees will be £1250+VAT and disbursements payable upon exchange. 1. Passport or identification card. 2. A current utility bill (not mobile phone) or bank statement showing name and home address to be no older than three months. a. A copy of the Certificate of Incorporation and Memorandum of Articles and Association. b. Evidence of the company’s registered address. Ground Rent: £270 per annum ground rent charge, subjected to RPI. c. Register of directors and shareholders. d. Individual photo identification and address identification for directors and shareholders. e. Shareholders certificate.